b. 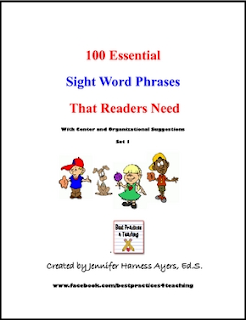 Read grade-level text orally with accuracy, appropriate rate, and expression. 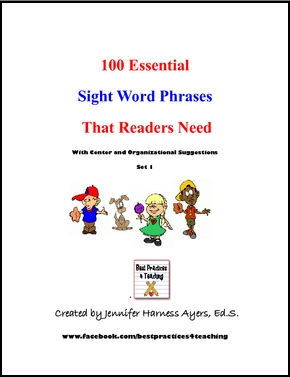 In this file, you will find 100 sight word phrases with games, strategies, and organizational suggestions. This activity was based on the research of Dr. Frye and Dr. Timothy Rasinski from Kent State University. The theory behind their research is that students learn sight words faster if they are in phrases because it is easier to build schema due to a memory imprint through visualization.